Register now to become part of this community initiative. Receive regular updates and information. Even if you are not able to actively patrol by becoming a member you are recognising all the hours of work that people are able to give to make our neighbourhood a safer one. Membership is voluntary and free. By submitting your form below, you confirm that you agree with the constitution and code of conduct as published on this website. DPVwatch is a voluntary organisation and cannot be held liable for any members actions or consequences. Check the map hereunder to see which Zone you fall into. The different Zones are colour-coded. 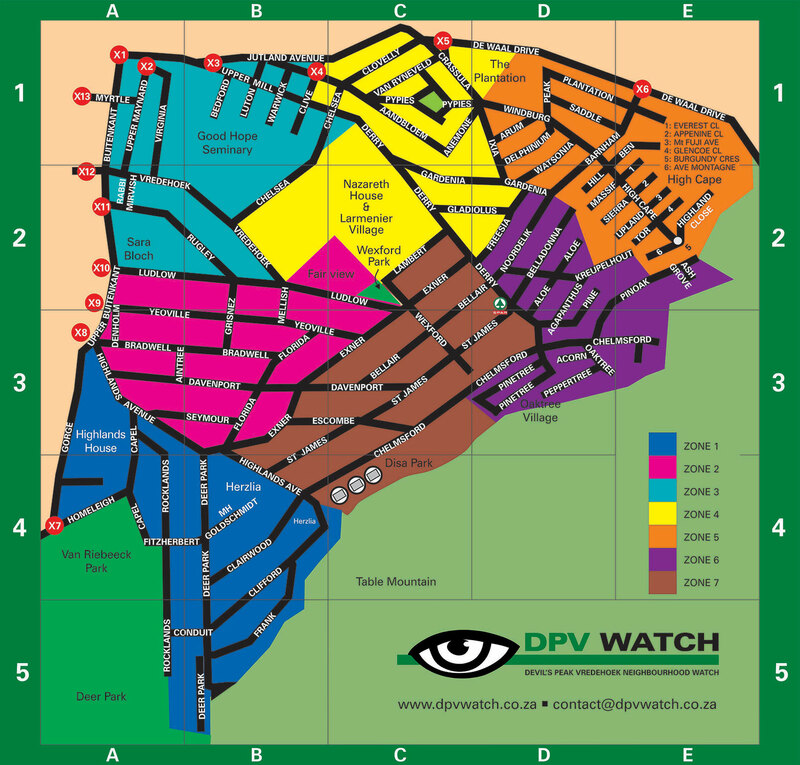 If you are still unsure please feel free to drop as an e-mail (contact@dpvwatch.co.za).